FSR Conversion Kit for markers! I've been working on a First Strike Round conversion kit for a while, and I'm about to order an initial batch now that I've pretty much perfected it and have it patent-pending. I'd like to gauge interest so that I know how many to order. Price would depend upon quantity. This kit is comprised primarily of a special adapter for FSR's, as well as a modified bolt. The first marker to have this kit will be the Autococker (or more specifically, the Sniper II). Phantoms will be next, and others will follow after that. The adapter can be positioned for the right, center, or left side using orings, depending on your preference. The opening is intentionally larger so that even if you're wearing gloves, loading FSR's won't be cumbersome. The bolt will have an oring groove at the tip, and you can decide whether you'd like to use it or not. 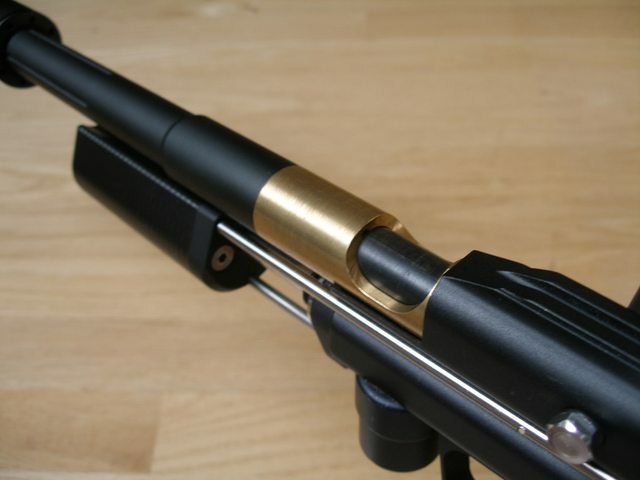 For those that wish to have the bolt locked in the forward and back positions, an optional custom detent/plunger will be available for purchase as well. The adapter will be anodized aluminum for the first batch (dust black is the color I have in mind), and the bolt will be black Ertalyte PETP. I've included pictures of the rough prototypes showing loading of a FSR in sequence. Thanks for reading, and let me know what you think! Last edited by isiTrue; 06-26-2014 at 03:57 PM. Oooooooooo I like, so simple. I know it depends on the amount ordered but do you have a ballpark figure on the cost? It really does depend on the amount ordered, but probably around $100 minimum for lower quantities if I want to turn a reasonable profit. There's a lot of CNC work for both parts (with tight tolerances), and the bolt itself is 9" long and stronger than Delrin. The adapter will have Type II anodizing. Once I place an order for the first batch, I'll have a sample of each part made and shipped to me so I can show you guys the actual finished product. Totally rad! Great idea, and so simple. It's so simple, I can't believe it took this long for someone to invent. Brilliant! Impressive! I think everyone here is smacking themselves going "How did I not think of that!?". Simple and extremely effective! Only questions: Bore size on the adapter? 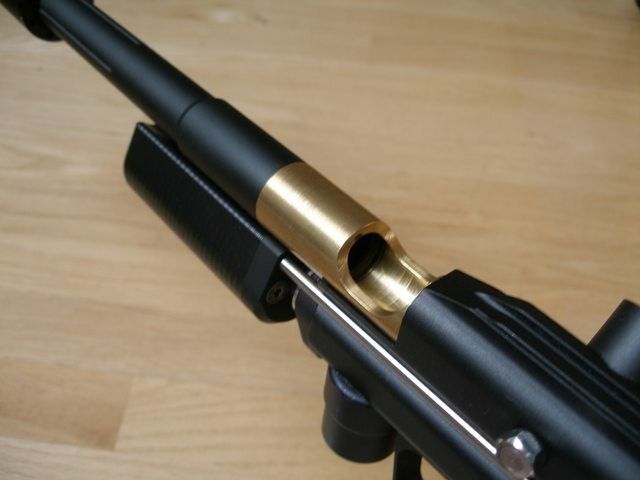 And is the round fully loaded into the barrel when the bolt is closed? Thanks guys, I'm really glad you like it! It's a fairly simple idea, but there were a few roadblocks along the way. There were several instances where I thought I had completed the project, only to notice another possible issue with the design. I tried to anticipate all potential problems that may show up over time. The adapter bore ID is .690. I found this to be the perfect size: FSR's move freely, and the bolt still has a pretty good seal. 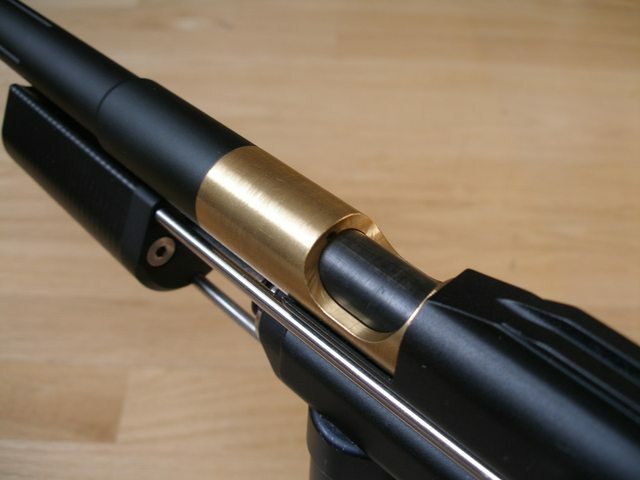 The FSR is almost fully loaded into the barrel when the bolt pushes it forward. I had to leave a little room for margin of error, but it's nothing significant. 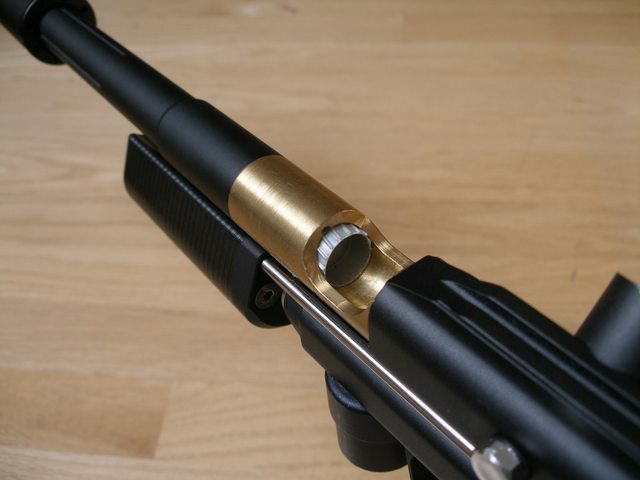 It depends on the orientation of the adapter, as well as the actual length of the barrel. Oh, and I'll probably design a bolt for half-block Snipers as well since they're so popular. If I buy one I'll be trying to fit a FSR TiPX magwell on it! Very cool!